Red light camera programs in South Florida are finding themselves in legal trouble. The city of Tamarac last week dismissed all red light camera tickets issued prior to May 1, and a judge in Miami-Dade County has found that sixteen different cities within the county have been violating state law. 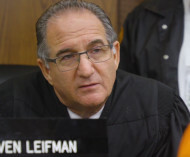 Judge Steve Leifman reviewed the use of "business rules" that are hashed out between the municipality and the for-profit private camera contractor. The vendor sends each city a questionnaire asking how to handle ten different situations that determine whether a motorist should or should not receive a citation. Lawyers for the Ticket Clinic provided a spreadsheet showing how each of the sixteen cities came up with different answers to those questions. As Judge Leifman, noted, Aventura defined where a car is supposed to stop as, "Behind the Stop Line" while Key Biscayne said "Behind the Cross Walk" and Homestead went with "Behind the Prolongation of the Curb." The court found that this variety in what is, and what is not, considered legal undermined the legislature's intention to create a uniform system for red light camera programs. "How is a driver to know that the guidelines of the business rules questionnaires vary from municipality to municipality?" Judge Leifman asked. "The legislature has delineated what is or is not a violation of state statutes regarding right turns on red. Because of the non-uniformity of the business rules questionnaires of the various municipalities, a person driving through the various municipalities, including Aventura, is unaware of and subject to being in violation of the differing rules and regulations, many of which also differ from municipality to municipality and from state law." Florida's red light camera statute says that cities must operate under ordinances agreed to in a public process. There is no authority to create business rules behind closed doors. "The nonuniformity of Aventura's business rules questionnaire which differs from other municipalities and from state law violates the uniformity provision in section 316.002 and preemption clause in section 316.0076," Judge Leifman concluded. The decision only invalidates the business rules that the South Florida cities rely upon to allow vendors like Verra Mobility (formerly American Traffic Solutions) to issue tickets. The judge clarified that he was not striking down the state's grant of authority to localities to set up red light cameras. The court also certified the issue for review by the state Court of Appeal. The lawyers who won the case were pleased by the result. "For years, The Ticket Clinic's lawyers have kept pressure on Florida law makers on behalf of motorists because we believe the cameras are illegal and threat to public safety," Ticket Clinic founder Mark Gold said in a statement. "Our goal is to have them removed in Florida. Winning these battles is great but there is still plenty of work to be done."